A Little Bit etc. 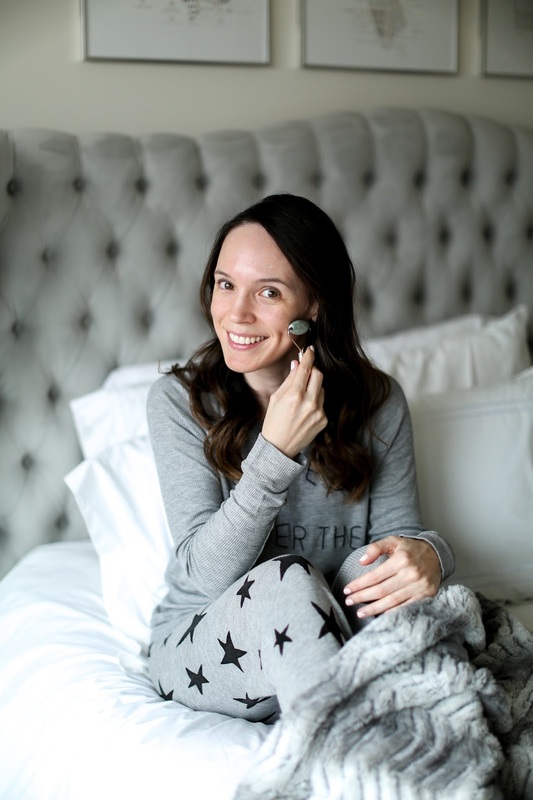 : I Used a Jade Roller for the Past Few Months - Did I See a Difference? I Used a Jade Roller for the Past Few Months - Did I See a Difference? 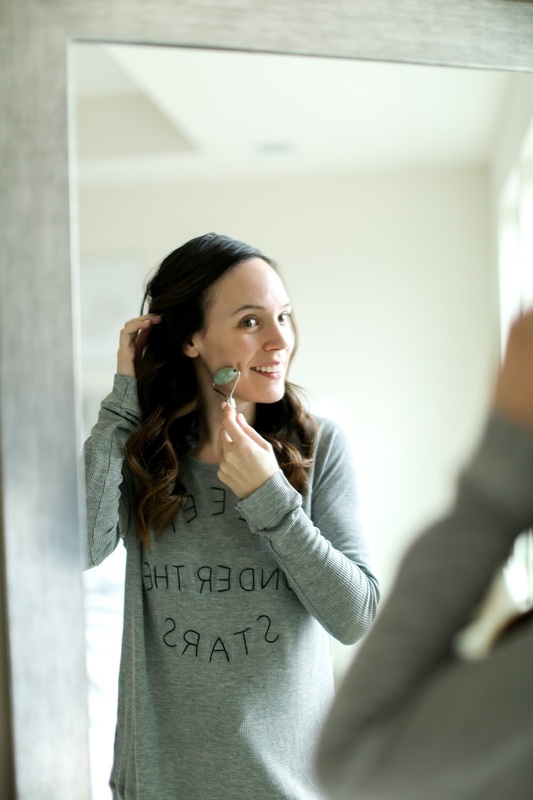 I love trying new skincare products or devices, so I was intrigued to add a jade roller to my routine after hearing about how beneficial it is for the skin. I found an affordable one on Amazon and purchased it a few months ago. Since then I have been consistently jade rolling a few times a week if not every evening and wanted to share my thoughts. 1. First, what is jade rolling supposed do for the skin? It is designed to help increase circulation, de-puff the eye area and face, increase elasticity and help to detoxify the skin. 2. How do I use the jade roller? I roll it upwards and outwards along the contours of my face and neck - up my neck, along my jawline, along my cheekbones, across my forehead, and then I use the smaller roller for rolling under my eye in outward motions. I always roll upwards and outwards towards my hairline. I try to use gentle pressure and not roll too fast which makes it feel like a gentle massage. Some people like to keep it in the refrigerator for a cooling effect on the skin and to aid in reducing any puffiness. 3. Do I jade roll over skincare or on bare skin? I used it both ways either after my skincare was complete or on bare skin after I had cleansed but before I began my serum/moisturizer steps. 4. How many times a week do I jade roll and for how long? I do it a few times a week if not every evening for 3-5 minutes. Reducing puffiness. Yes, yes and YES! If you struggle with puffy eyes or face, I saw an immediate difference when using. Especially under the eyes and around my cheeks things seemed much smoother, more taut and ultimately less swollen. Smoothing out of the neck. I did not notice any change in fine lines or small wrinkles on my face, but my neck was a different story. While it wasn't huge, there was a gradual smoothing out of my neck area over the past few months when using the roller. Probably less noticeable to others but I can see the difference. A slight calming of the complexion. I struggle with some redness around my nose, cheeks and forehead and I noticed a small reduction in that which made my skin look more even toned and less splotchy. That's really it. My results were very minimal, but I did enjoy using it. When it came to reducing puffiness, it worked wonders. And I was pleased to see my neck looking a bit smoother, but I don't think it is a MUST for every one's skincare routine. My advice is if you are intrigued and want to give it a try, find an affordable roller (mine was very inexpensive but has held up nicely) and use it consistently to encourage results. This is not something you can use once a week or intermittently and expect to see much change. 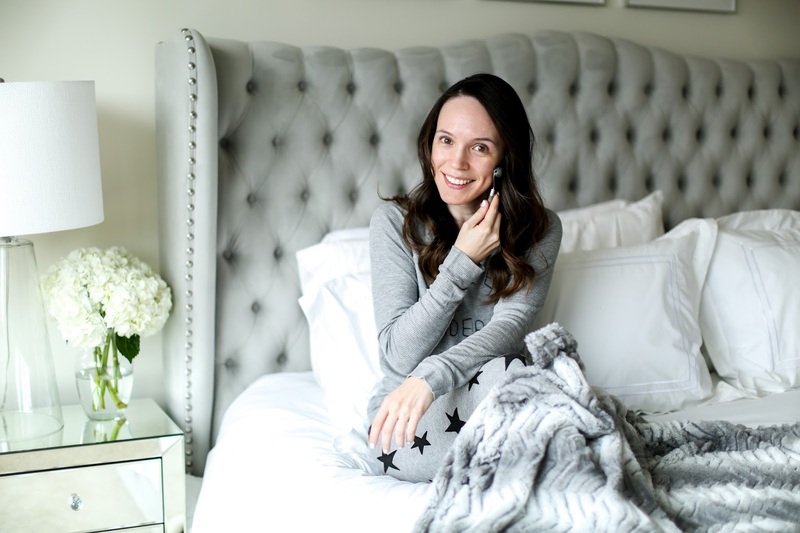 Many of you are skincare lovers like myself and we love to test out anything and everything that could help our skin even in the smallest way, so this was fun to add into my routine. However I didn't see enough results to make it a mandatory step every night but it's nice to reach for when I want to help with puffiness and reduce any swelling. What is your experience with jade rolling and results do you see? I bought an expensive one off of Amazon a month or so ago based on you mentioning it. I find it helps in the morning with under eye puffiness, but I never had high expectations for this. Any facial massage technique helps temporarily and this makes it a bit easier. But one thing I do love using the jade roller for is when I use a sheet mask. I find the mask ingredients penetrate more and it's extremely soothing and relaxing.